Someday computers will be artists. They'll be able to write amusing and original stories, invent and play games of unsurpassed complexity and inventiveness, tell jokes and suffer writer's block. But these things will require computers that can both achieve artistic goals and be creative. Both capabilities are far from accomplished. This book presents a theory of creativity that addresses some of the many hard problems which must be solved to build a creative computer. It also presents an exploration of the kinds of goals and plans needed to write simple short stories. These theories have been implemented in a computer program called MINSTREL which tells stories about King Arthur and his knights. While far from being the silicon author of the future, MINSTREL does illuminate many of the interesting and difficult issues involved in constructing a creative computer. The results presented here should be of interest to at least three different groups of people. Artificial intelligence researchers should find this work an interesting application of symbolic AI to the problems of story-telling and creativity. 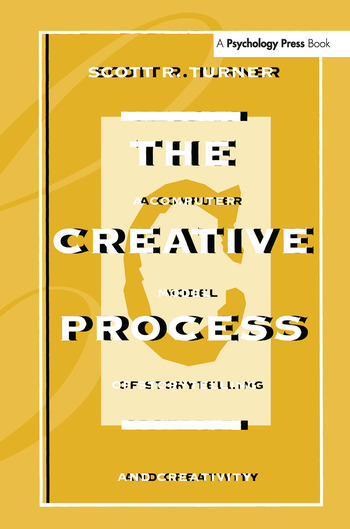 Psychologists interested in creativity and imagination should benefit from the attempt to build a detailed, explicit model of the creative process. Finally, authors and others interested in how people write should find MINSTREL's model of the author-level writing process thought-provoking. Contents: Storytelling and Creativity. A Model of Creativity. A Model of Storytelling. Thematic Goals in Storytelling. Dramatic Writing Goals. Consistency Goals. Annotated Trace. Evaluation of MINSTREL's Computer Model. Future Work and Conclusions. "...the book reads much like 'yet another AI program that does some nifty things in its own micro-world,'....clearly structured and well-presented....the text gives lots of previews, summaries, and retrospections."